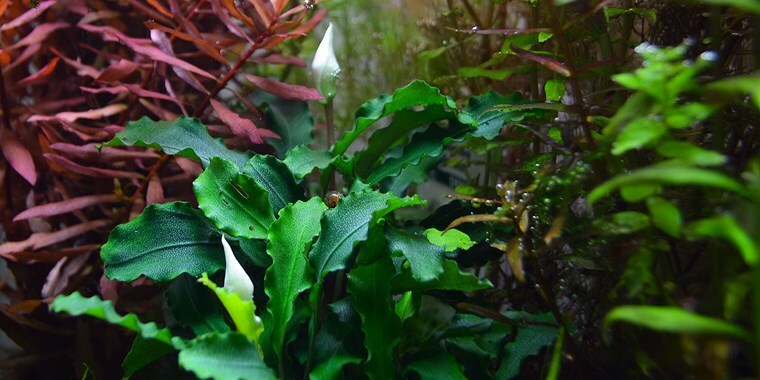 In nature, Bucephalandra usually grows on rocks or wood in rivers and streams - much like Anubias, which they resemble regarding use and care in the aquarium. Bucephalandra 'Wavy Green' is an easy, slow-growing plant that prefers lower light levels. A nice, dense appearance is ensured by the willingness to branch, even without trimming. 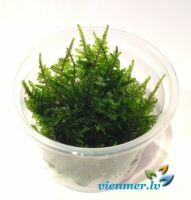 The green leaves are 2 cm wide and 5 cm long with wavy edges. Tiny white spots will appear on immerse leaves. 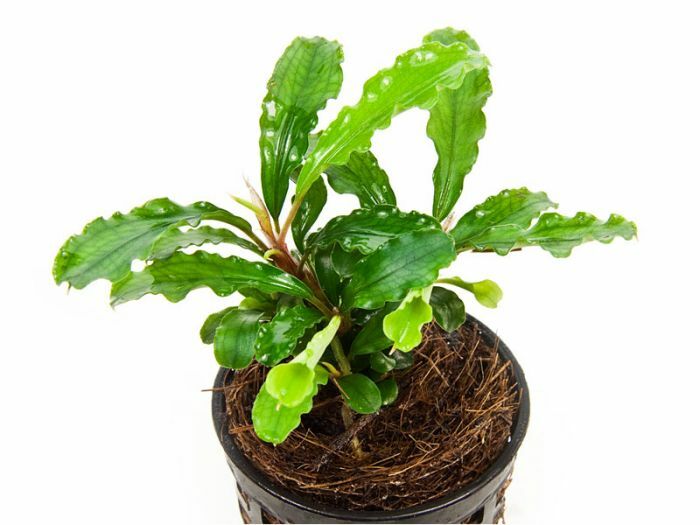 The creeping stem, rhizome, must not be covered when planting. 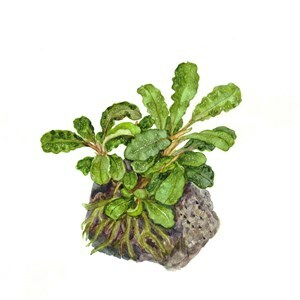 This will cause the plant to rot and die.